Although St. John plays host to numerous cruise passengers each year, it does not have its own cruise port. A few small cruise ships anchor offshore each year but the vast majority of cruisers come to the island during port calls in nearby St. Thomas. 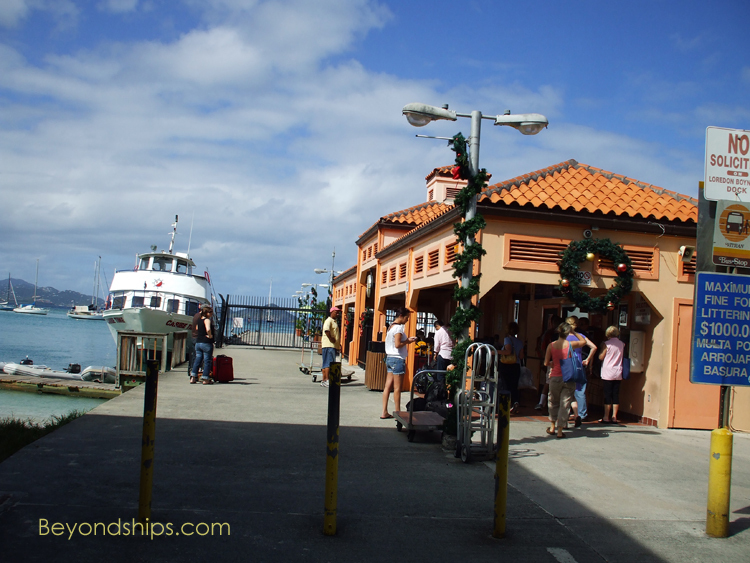 Most ships stopping in St. Thomas have shore excursions to St. John. (Popular excursions include snorkeling at Trunk Bay and sightseeing tours of the island). 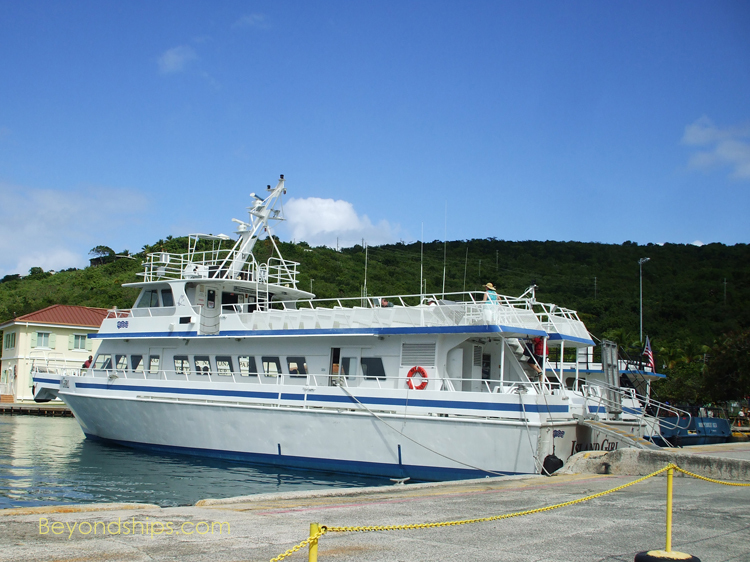 This often involves taking a chartered boat to St.John. that takes about 40 minutes. There is also an hourly ferry from Red Hook on St. Thomas. 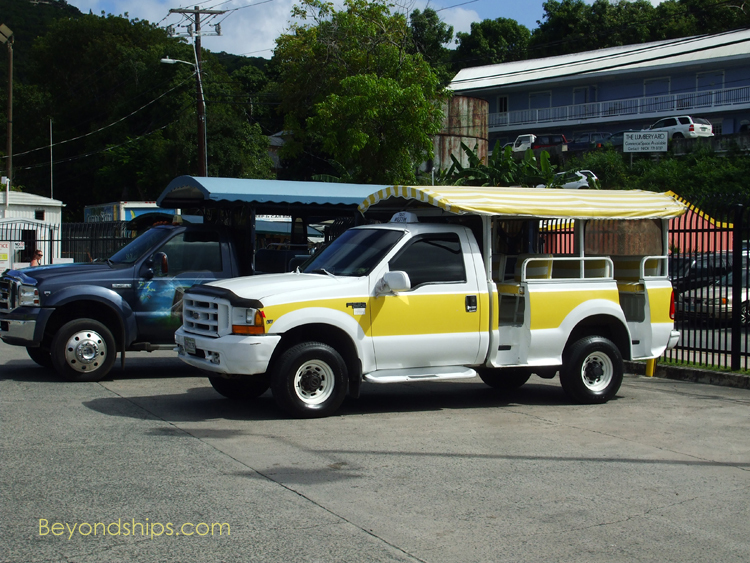 Taxis often wait for business by the ferry terminal in Cruz Bay. Most taxis are safari trucks with benches for the passengers in the back. Another alternative is to rent a car in Cruz Bay. However, the roads on St. John can be steep and twisting. Also, while people in St. John drive on the left side of the road British style, most vehicles on the island were built for driving on the right side of the road American style.